The Funny or Die website has A PARODY of the Nikki Finke-Deadline: Hollywood situation. 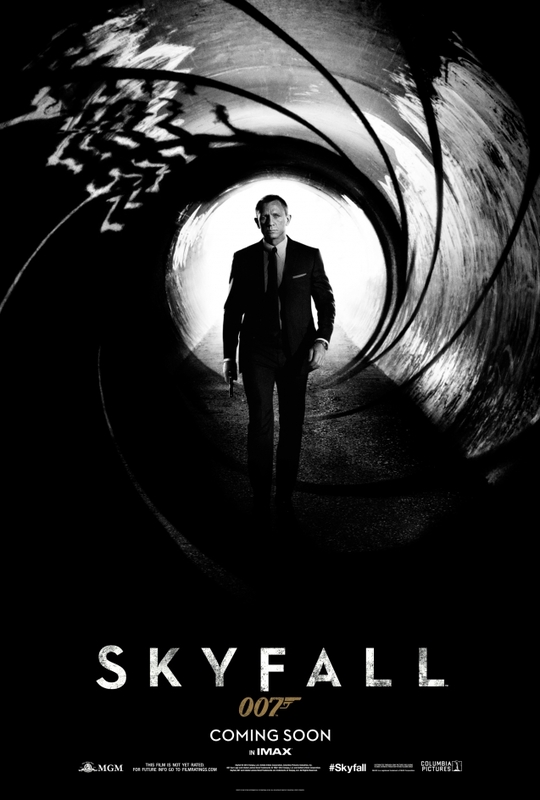 In turn, the parody includes a parody of Skyfall, the most recent James Bond movie. For the uninitiated, Finke founded the Deadline website, which tended to get lots of scoops (including some ABOUT SKYFALL and THE SCOOP that Bond 24 and Bond 25 would be written by John Logan). She had a falling out with Jay Penske, who bought the site from her. You can CLICK HERE for a Nov. 19 Los Angeles Times story with background. Anyway, actress Jean Smart plays Finke in the Funny or Die video. As for the Skyfall element that’s part of the parody, we won’t spoil it. Click HERE to see the video. The Oscars on Oct. 24 had the biggest 007 presence since 1982. So how did the two nights compare? For 007 fans, this year’s Oscars were a mixed bag. Skyfall won two Oscars, breaking a 47-year Oscar drought. But a promised Bond tribute seemed rushed and some fans grumbled that Skyfall should have come away with more awards. Skyfall came away with the Oscar for Best Song after three previous 007 tries (Live And Let Die, Nobody Does it Better from The Spy Who Loved Me and For Your Eyes Only) as well as best sound editing in a tie with Zero Dark Thirty. But neither director of photography Roger Deakins or composer Thomas Newman scored an award, continuing their personal Oscar losing streaks. Thirty-one years later, there was another montage, a little snappier but clips still familiar to most 007 fans. The clips were accompanied by The James Bond Theme and an instrumental version of Live And Let Die. The 1982 show had a big production, with Sheena Easton performing For Your Eyes Only (nominated for Best Song, but which lost) along with a Moonraker-themed dance number that included appearances by Richard Kiel as Jaws and Harold Sakata as Oddjob. In 2013, the clip montage led to Shirley Bassey singing Goldfinger and drawing a standing ovation. And then….well, the 007 tribute was over. Adele performed Skyfall separately as one of the Best Song nominees. The Academy and the show’s producers hoped to gather together all the living 007 actors. But Sean Connery refused to come because he hates the Broccoli family. Something about how he thinks they cheated him out of money he was owed. Then Pierce Brosnan refused to come because he hates the Broccoli family as well. Something about how he thinks they pulled him from the role too early. Roger Moore was dying to come because, well, he’s a sweetheart. And Daniel Craig would have come because he does what he’s told by the Broccoli family’s Eon Productions whose Bond #23 Skyfall just went through the box office global roof. So there you have it. Finkke didn’t say how she came by this information. In mid-February, her site ran an interview with the producers of the Oscars show and that story said the six Bond film actors wouldn’t appear at the show and referred to “rampant media speculation” concerning such a joint appearance. Still, her Web site was the first to report that Sam Mendes was likely to direct Skyfall, so it can’t be disregarded completely. In any case, the 1982 show had something not available to the producers of the Oscars show this year: Cubby Broccoli. He gave a particularly gracious speech when accepting his Thalberg award. He acknowledged both of his former partners, Irving Allen and Harry Saltzman, despite substantial differences of opinion he had with them in the past. In another Aug. 5 Tweet, Lewis responded to a question about what Thomas Newman’s score for the movie was like. Lewis’s response: “sadly not – NDA’s forbid me – all I can say is that it’s ace.” Presumably NDA is short for non-disclosure agreement. MI6’s clash with Deadline: On Sept. 6, the MI6 James Bond fan Web site had a story that Daniel Craig had been signed for Bond 24 and 25. That story was cited by a number of Web sites, including THE HUFFINGTON POST. Finke is founder and editor-in-chief of Deadline and co-author of its story of the Craig signing. Back in January 2010, Deadline was the first TO REPORT that Eon was negotiating to bring Sam Mendes aboard what would become Skyfall. Shortly after that, Mendes’ publicist confirmed the talks to a U.K. newspaper while the director denied it to The Wall Street Journal. The company will start a second phase of its strategic review after evaluating the proposals, Los Angeles-based MGM said today in an e-mailed statement. To look at the (short) story, CLICK HERE. UPDATE: Here’s Nikki Finke’s take from the afternoon of Jan. 15, with a few, but not many, additional details.